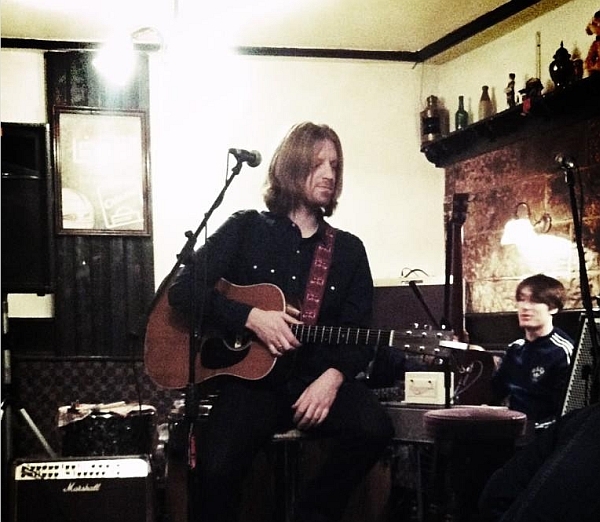 Ian Skelly – drummer with acclaimed Hoylake band The Coral – played a “secret” gig at The Lake pub last Friday. Many thanks to Jessica Wilkie for the photo above. The secret gig was announced on twitter during Friday with the venue only being mentioned (online at least) an hour or so before the start. Ian Skelly was playing tracks from his first solo album Cut From A Star – more information is available on his website. Did you manage to find out about the gig and did you go? What did you think? Have your say in the comments.